Providing creative minds a way to pitch their ideas and attract funding is the founding mission of crowdfunding platform Kickstarter, but its CEO and co-founder Yancey Strickler believes its impact is far broader. “They’re showing their creations off in videos, walking their audience through the design process and giving them an opportunity to look into where things come from,” said Strickler in an interview after speaking at the Herald Design Forum 2016 in Seoul on Tuesday. Founded in 2009 and based in Brooklyn, New York, Kickstarter is the world’s first and largest online crowdfunding platform for creative projects. It has raised more than $2.5 billion for over 100,000 projects and helped establish 8,800 new companies and nonprofit organizations. The leading crowdfunding platform requires that creators introduce in detail who they are, what their projects are, where they got their ideas, how they plan to make them work, the necessary budget and why they care about them -- via text, visual and multimedia sources. And those who feel compelled by a particular idea or creative work become financial supporters who feel personally attached and linked to the project they are backing. Such connections give the public a greater sense of empathy for what it takes to make something, and in turn, allows them to better appreciate the things they use and their impact on the world, Strickler said. To help creators better share their ideas with supporters, Kickstarter recently introduced a new live video service called “Kickstarter Live,” which lets entrepreneurs feature live demonstrations of their projects, show prototypes in action, host cooking shows and even screen new films. “This is just another way of trying to remove the barriers and walls between the public and the creative processes in design,” Strickler said. Today, Kickstarter is on a campaign to oppose the so-called “monoculture” that discourages innovation, diversity and disruption, said the Kickstarter executive. “Especially with globalization and the internet, we feel that most people are in the same boat of feeling that everything is becoming kind of the same, and that this is not something to be celebrated,” the Kickstarter CEO said. 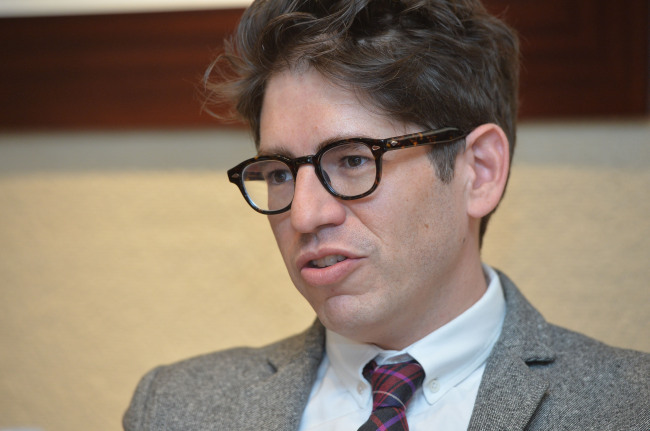 “If culture becomes something being made by a million small voices rather than five big voices, I think the world would look quite different,” Strickler said. Looking ahead, the Kickstarter CEO said the firm is highly interested in launching its services in Korea, but that it will not happen just yet. In Asia, Kickstarter is currently open in Hong Kong and Singapore. “We certainly see here a strong creative culture and one that could be well served by what we do. (Launching in Korea) won’t be immediate but it’s certainly on our radar as a longer priority,” Strickler said.